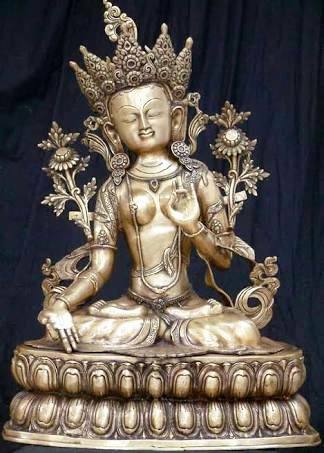 Tara also known as Jetsun Dolma in Tibetan Buddhism, is a female Bodhisattva. She is known as the 'Mother of Liberation' and represents the virtues of success in work and achievements. In Japan she is known as Tarani Bostasu and Tuoluo in Chinese Buddhism. She is also revered in Nepal and is considered the manifestation of Deep Laxmi in Hinduism. Green Tārā, represents the Buddha of enlightened activity. White Tārā, represents compassion, long life, healing and Wish-fulfilling. Red Tārā, repesents the fierce aspect associated with magnetizing all good things. Black Tārā, is associated with power. Yellow Tārā, represents wealth and prosperity. Blue Tara is associated with transmutation of anger. Cittamani Tārā, a form of Tārā widely practiced at the level of Highest Yoga Tantra in Buddhism. Khadiravani 'Tara', is known as the '22nd Tara'. 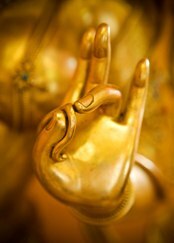 **The main 21 Tārā mantra is the same for Buddhists and Hindus alike: OM Tare Tuttare Ture Svaha. 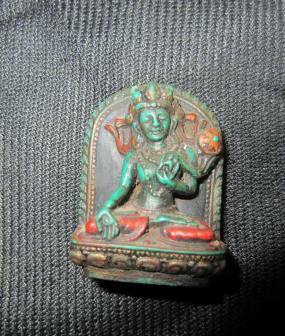 Our artists in Dharamsala have captured the 'Vision of Buddha' in pocket savvy cheap Buddha Statues, White Tara & Green Tara Idols. A Tara idol in your house altar can usher in Good Luck and Prosperity..! * Our gift series of Tara Idols, Buddhist Statues & Hindu Gods n Goddesses are valuable, pocket savvy India Art n Craft products. * All Products in Buddha Bazaar Online Store are 'Collectibles', from 'Indian Handicrafts' displaying, Local India Art & Craft in Himachal Pradesh. To picture the size of your Tara Statues n Idols..refer to our *'how big is my statue..?' side column...! GIFT SERIES WHITE TARA IDOL IN SEMI-PRECIOUS TURQUOISE & CORAL WITH HEALING INCENSE. 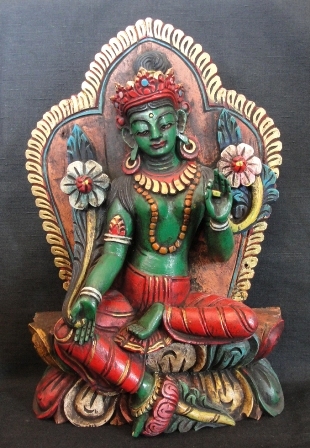 GIFT SERIES GREEN TARA IDOL, HAND CAST IN MULTI-TONED BRONZE. 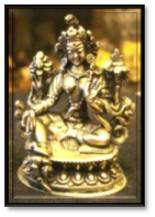 GIFT SERIES GREEN TARA IDOL, HAND CAST IN SILVER PLATED BRONZE. White Tara for Long and Wish Fullfilment ! 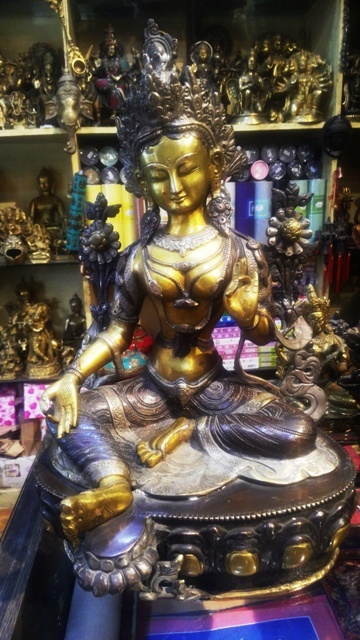 SPECIAL SERIES WHITE TARA IDOL, HAND CAST IN NATURAL POLISHED BRONZE. Gift: Special Incense sticks for Tara chants. Contact us for any Tailor made Tara Statues...Click Here !